The nice people at United Limsun, the authorized Philippine distributor of Pacsafe gave me another item for review, which compliments the Toursafe Handbag: the Pacsafe Toursafe Wallet. 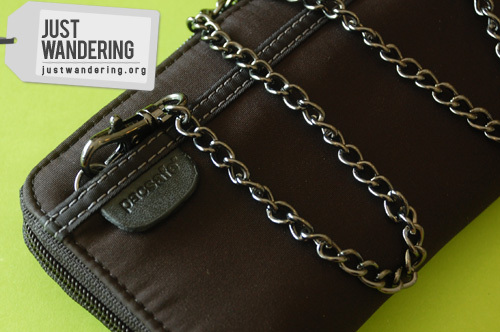 The Toursafe Wallet comes in the same design and colors as the handbag: black, taupe and tabasco. The wallet matches my handbag perfectly: it’s also black outside and lilac inside. The wallet comes with a slash-proof chain that you can hook to any Toursafe bag, giving you peace of mind that your wallet’s not going anywhere. The wallet is an accordion style checkbook wallet*, which gives you plenty of space to store and organize your bills, coins, receipts, cards and even your passport! It measures 7.4″ x 3.9″ x 0.6″ — a pretty standard size, yet slim and compact. In the past years, I’ve stopped using wallets, opting for simple zippered pouches. I was hesitant to review the wallet at first, since I wasn’t too keen to use it, but I’ve grown to like it after using the wallet for two months. What I love about it is the compartments that let me separate different currencies. Since I travel overseas fairly often, I have to deal with a variety of paper bills and coins whenever I cross borders. My practice before the wallet is that I keep a second wallet to hold all the currency that can’t be used for the country I’m currently in. With the Toursafe wallet, I can put my Philippine peso in one compartment, my Thai baht in the other, my US dollar in another. I like that there’s plenty of card slots inside the wallet. It comes handy for organizing my card collection, which includes my credit cards, ATM, Timezone game cards, loyalty/rewards cards, fare cards and the Pacsafe Prosafe 750 key card. 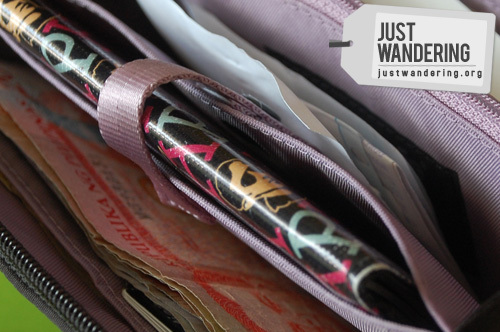 There are also slip pockets for receipts or keeping travel notes. All in all, it’s a pretty good buy at Php 1,199 Php 1,999**, considering that a lot of wallets go for around that price range. You can actually fit your passport inside the Toursafe Wallet! Pacsafe is available in Manila in all Travel Club branches, Brat Pack, Rustan’s, Hahn, ROX, I Studio, I Gig, Flight 360 and Bombproofgear. A huge thank you go out to United Limsun for the wallet. The compartments would help me with all the receipts, IDs and other things I stuff my wallet with. wow. this is a very nice review and thank you for sharing it Nina. You’re the best! 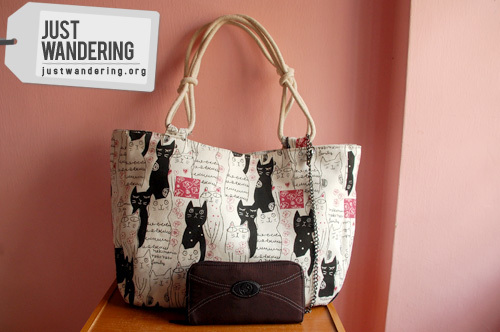 I want that cat bag! This will be my top of the list if I need to get a new wallet! whoa, kala ko naliligaw ako ng blog. Hey Nina! 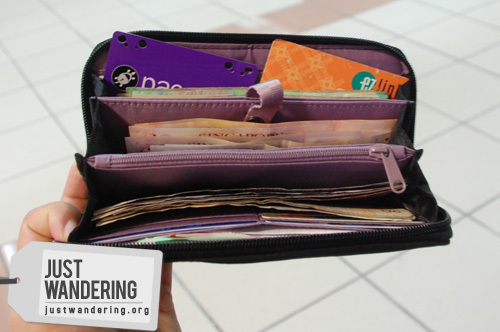 Great review, your wallet looks very organized! We posted your review on our Facebook page and our blog! Kyameel: It can fit your calculator! rainne rafols: Tambling ako sa duct tape. Who loves Nadal the most?